(Portland, Oregon) – The early part of next week brings a double whammy of stunning sights in the night skies, with another Super Moon and the Perseid meteor showers over this part of the world, including inland Oregon and the coast. Jim Todd, planetarium manager at Portland’s OMSI said this Sunday – August 10 – brings the second Super Moon of the summer to the skies above Oregon. Then the Perseid meteor showers reach their peak on August 12, the following Tuesday, although the slowly dissipating and very bright moon will get in the way to some degree. Todd said the supermoon happens when the full moon makes its closest approach to Earth in its orbit. This August 10 is the full moon and will be just 221,675 miles away, making it the closest approach to Earth in 2014. 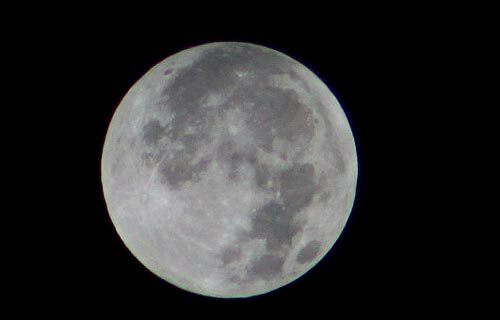 Todd said this full moon will appear about 14 percent bigger and 30 percent brighter than a corresponding full moon at apogee. “But it's not really all that much more dramatic than a regular full moon,” Todd said. 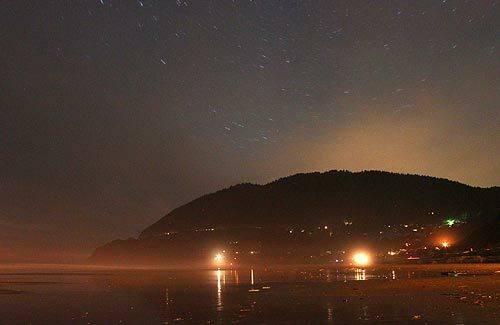 Then comes the Perseids, which can be especially spectacular on the Oregon coast because the night sky is so devoid of city light pollution. Todd said while the peak is through the wee hours of August 13, unfortunately the brilliant waning gibbous moon will wash away all but the brighter Perseid meteors from view; expect rates of around 15-25 meteors per hour. Luckily, the shower lasts through August 25 and will still be somewhat strong when the moon stops interfering. They travel at thousands of miles an hour. Meteoroids quickly ignite in searing the atmosphere’s friction, 30 to 80 miles above the ground. Todd said try to get away from city lights, but if you must stick around Portland or other larger towns, choose a spot that gives you a wide view of the city. Where they seem to be radiating from – known as the radiant – will shift upwards in the sky as the evening passes into morning. 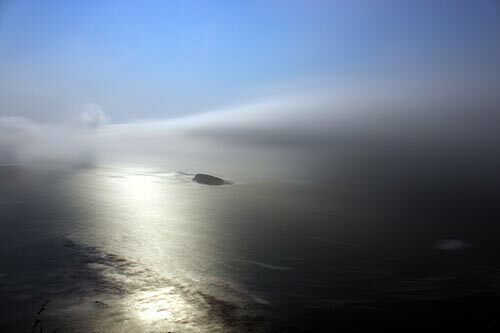 On the Oregon coast, dark beaches and viewpoints won't be hard to find. Some of the more spectacular sights may happen at high vantage points where the moon will reflect on the ocean. These spots are also good for getting a wider view less blocked by the coast range. These include the overlooks just south of Yachats, Cape Foulweather between Newport and Depoe Bay, Anderson's Viewpoint near Oceanside, the Neahkahnie overlooks near Manzanita, and the pullouts just south of Cannon Beach.